At EMO Hannover 2017, Jongen has presented a number of new products. 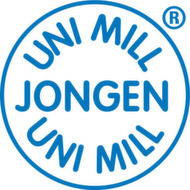 Highlights were the newly developed face milling cutters Jongen Uni-Mill A20 and the milling programme Jongen Uni-Mill FP 70. The first issue of the year presents several interesting advancements. Germany – Jongen has introduced a high-performance shank type milling cutter VHM 474W Ti10 with optimised macro geometry that is said to provide a high-cutting volume and reduced power consumption with lower cutting forces. Highlights on quality control and a preview on exhibits at Metav 2016 as well as recently introduced equipment/ products for the tool and mould-making industry. Cutting Tools – Jongen presented its Uni-Mill solid carbide drills VHB 55505A at Metav 2016 recently. Solid carbide drills, especially developed for drilling different steels, high grade steels and cast iron materials. They offer a high productivity also for high feed rates and cutting speeds, by maintaining a very good drill hole quality and surface quality. UNI-MILL step milling cutter type FP 723, developed especially for the machining of step-, slot- and face milling operations, in terms of roughing and finishing steels, high grade steels, cast iron and difficult to mill materials. Germany – Following its construction in a record time of about 12 months, the new state-of-the-art production plant of precision milling tool specialist Jongen Werkzeugtechnik, has been completed in Willich, Germany. Jongen has introduced the Uni-Mill drilling tools BP 04 to BP 12. A look at some of the latest advancements from a recent edition. Germany – Jongen has introduced its Uni-Mill VHM 441W TI08 tools, which rely on macro geometry for cutting hard-to-machine materials.